Holy terrific series, Batman! This series was SO FREAKING GOOD! I cannot get over how much I loved it. Now disclaimer, I normally shy away from books at the first mention of faeries. It just was never my cup of tea, but I read and watched so many great reviews on this series that I decided to give it a chance and man I am so glad I did. First of all, the writing: it was gorgeous! Absolutely stunning! 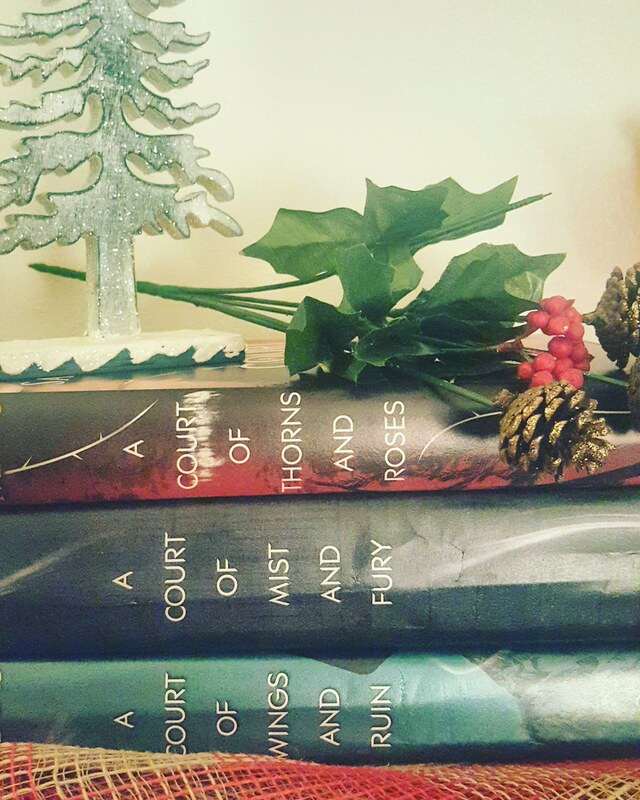 I was so over the moon impressed with Sarah J. Maas’s writing style. I cannot say enough great things about it. Bottom line is: I could talk for hours about this series and I will probably do a more in depth review video on these but for now if you are looking for a great fantasy read, look no further! This is definitely worth the money and will make beautiful additions to your reading collection!